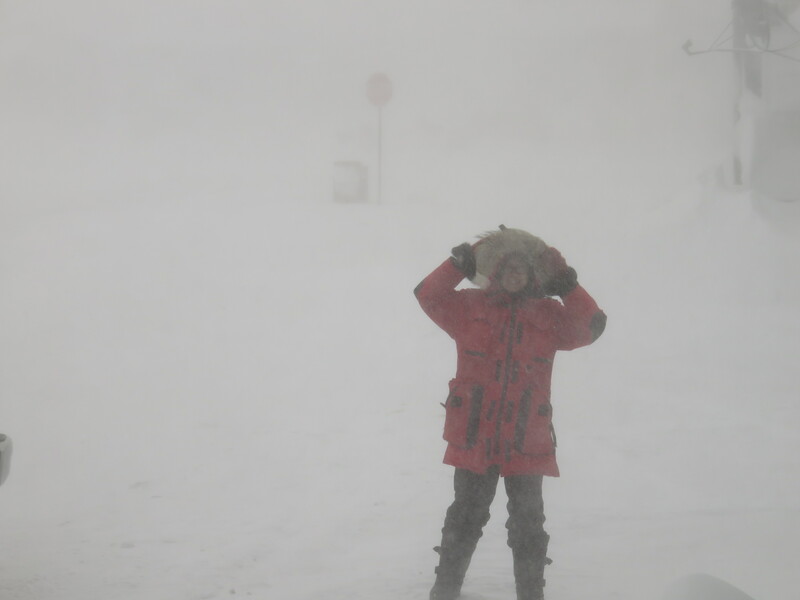 Well, we have survived a massive blizzard in Cambridge Bay, and as a bonus while we were snowbound in our homes we managed to finish recording our new album. 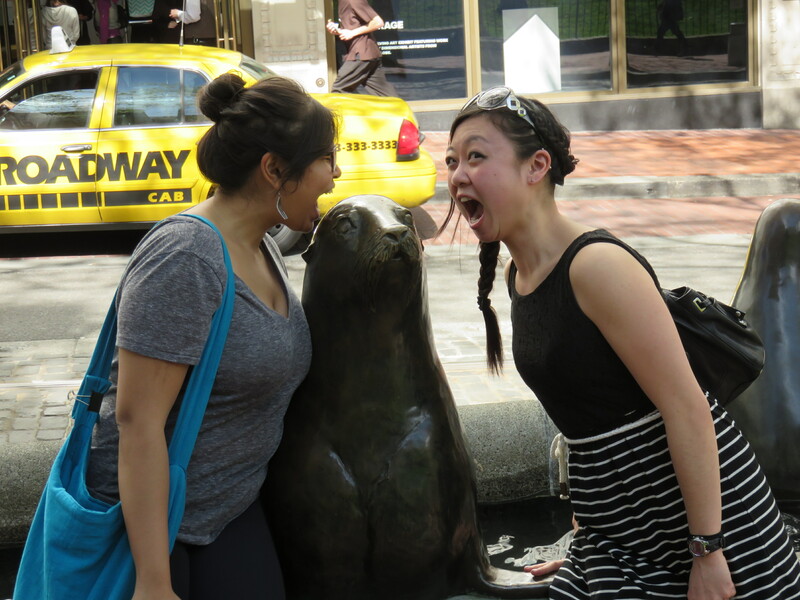 Now we are enjoying beautiful warm Portland, Oregon this week! Even though we are away from home, there have been lots of new developments. George Stroumboulopoulos featured our song Fault Lines on the Strombo Show as one of his Magnificent Seven top music pick for the week. Amazing! In addition, Vague Notion included us in their music picks on the Brazil-based magazine Blog That Celebrates Itself, and Steve Gunn featured our song On the Land on his Edmonton-based show The North Sound. CBC Music’s Searchlight contest has started up, so remember to vote for our song Fault Lines. We’ve been included on the nifty Neighbourhood Mixtape, so be sure to check it out! There will be lots more cool things coming out in relation to Searchlight soon, but in the meantime, you can download our song Fault Lines as a preview track off our upcoming album. Stay tuned for more news about the new album! We had a fantastic turnout at the food bank fundraiser on Saturday! A huge thanks to everyone who came out to support this great cause, including the other performers! 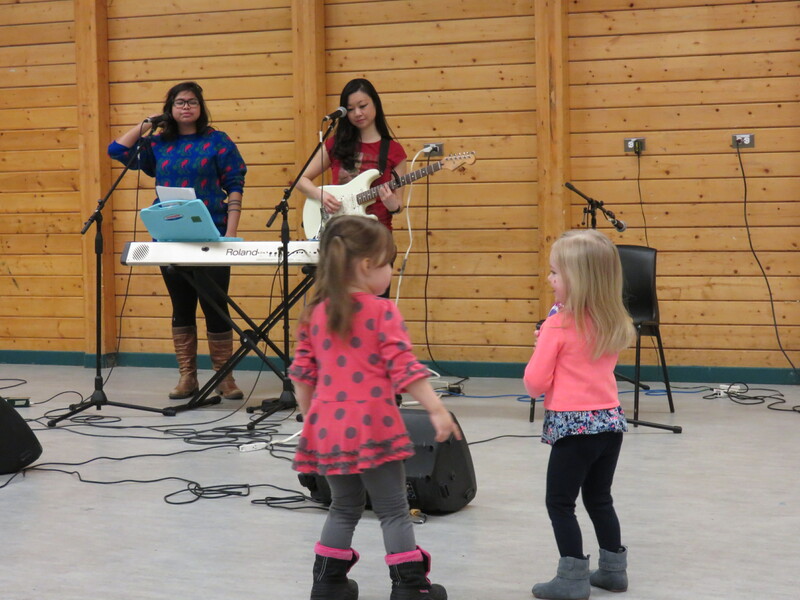 We had a wonderful time performing, especially with our guest guitarist Talia Magsagak! 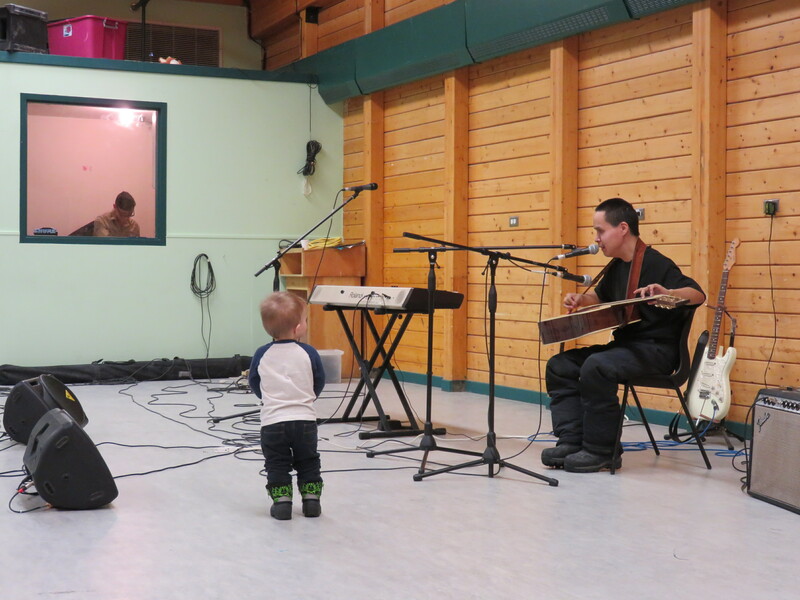 We also want to thank CBC Nunavut for interviewing us last week about our experience with CBC Music’s Searchlight! We’re also super pleased that our new song “Fault Lines” was featured as an early standout on CBC Music. CBC producer Andrea Warner wrote: “the band evokes its Nunavut-in-winter landscape with this dreamy, icy, spacious, synth-pop gem. There’s something haunting about the duo’s whisper-like vocals floating over the driving beat and then the fade-out for the final image, delivered with bittersweet clarity: ‘Learn to walk with broken legs. '” You can read it here. For St. Patrick’s Day, we’ve curated our favourite modern Irish music, a perfect mix of classic rock, retro pop and contemporary indie for playing at your next St. Patrick’s Day party to celebrate a rich culture with a fascinating history. Also, a huge thanks to the British-based Synthpop Show for playing our music on your all-women episode on March 8 in celebration of Internationa Women’s Day! Well, February Album Writing Month went by quickly! We managed to reach our goal of writing fourteen songs in twenty-eight days. In addition to writing fourteen songs, our goal was to write about things that start with B, and with every song having a different music genre. Throughout the process, we were able to meet so many other talented artists through FAWM, and we appreciate everyone’s encouragement and appreciation of our music. Our trip hop song Blanket Burrito was played on last week’s FAWMcast as well as on the British radio show Shameless Promotion. You can listen to the mixcloud stream of his radio show here. Thanks Jeff! Our anti-anti-gluten song “Can’t Go Gluten-Free” was also featured on the top favourites list on the American site Pop Mythology. Online radio stations such as We Are The New Underground has continuously been playing our music and we appreciate their support for independent musicians! Thank you everyone for your support and helping us to feel a part of a great musical community. Our performance opening for Elisapie Isaac at the Kitikmeot Trade Show last month was also covered in the Nunavut News North newspaper. Thanks Dana for writing about the event! March is going to be a fun but busy month for us. Besides doing the Cambridge Bay Food Bank Fundraiser on March 21, we’ll be entering CBC Music’s Searchlight again this year. We’ll continue working on our Fault Lines video project and in the most exciting news, we’re going to aim to finish recording our new album this year. Stay tuned, friends!